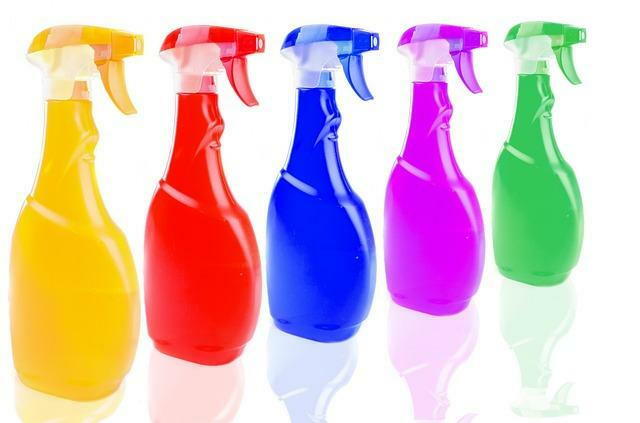 Everyday household cleaners may be contributing to obesity in children by altering their gut microbiome, a new study says. This study followed children from the time that they were in the womb until they were three years of age. Babies were twice as likely to have obesity-related bacteria at three or four months of age if they were living in homes where antimicrobial cleaners were used at least once a week, compare to homes that used those cleaners less frequently. Specifically children in homes where disinfectants were used more often had higher abundance of the Lachnospiraceae family, and reduced abundance of bacteria from the Entrobacteriaceae family as well as the Haemophilus genus. Higher levels of Lachnospiraceae caught the eyes of scientists because this particular family of bacteria has previously been associated with higher body fat levels and insulin resistance. What this study has concluded, is that "exposure to household disinfectants was in fact associated with a higher BMI at the age of three, mediated by gut microbial composition at age three to four months". This study adds to the growing evidence that we need to have a better understanding of our relationships with bacteria. Ultimately, this means that it is time to sort through the household cleaning products' closet and take a much closer look at the products we've been exposing ourselves and our youngsters to.